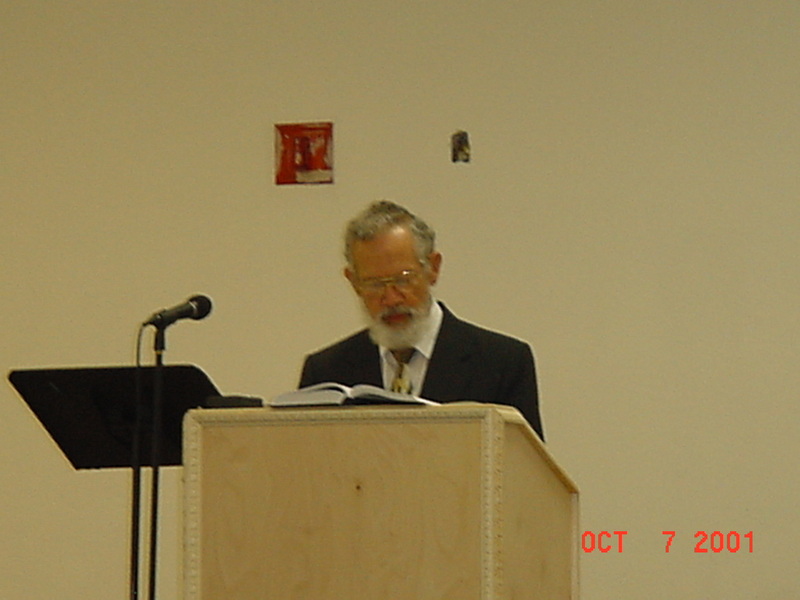 Pastor Chompff was born on October 26, 1930 in Malang, Indonesia. He has been married for 57 years with the same wife and they have 2 children, 8 grandchildren, 1 great-grandchild. He holds a B.S. / PHD in Chemical Engineering which he received from the Technische Hogeschool in Delft, the Netherlands. Before retiring Pastor Chompff worked in the Chemical Engineering field for many years, which included a position as Professor of Chemical Engineering at the University of Southern California in Los Angeles. His latest endeavor is an almost 2 year long series of sermons on the Gospel of Matthew. That we must come to recognize that the Bible is God speaking to us. Once this recognition is made we then take very serious what God tells us when He says that the wages of sin is death and this death, which is the 2nd death, is described as spending an eternity in hell. But God has also provided a way of escape through Jesus Christ our Lord. As we continue to read the Bible we discover that it has much more to say about the Lord Jesus Christ and how He is the only way out of this awful predicament. Nehemiah 8:8 So they read in the book in the law of God distinctly, and gave the sense, and caused them to understand the reading.